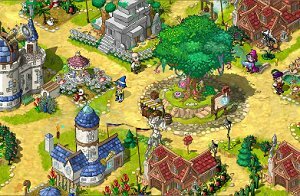 Miramagia is a cute browser game published by the same studio behind the acclaimed and also free Travian MMO. On Miramagia players enter a cute and wonderful magical world where they can choose between a Druid, Shaman, Sorcerer or Mage and take care of their own mystical plants. Use your magical talents to grow some exquisite herbs and sell them in the market.Take care of your young dragon and make sure that he grows into a powerful dragon, design your land in the way you like and use funny spells with other players.